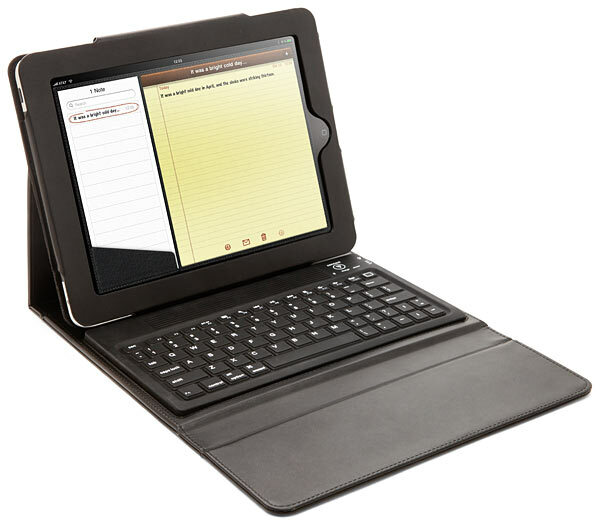 The Bluetooth keyboard case for iPad has a silicone cover that will resist the occasional caffeinated spillage which provides noticeable tactile feedback. The case is made of soft synthetic leather and closes with a magnetic clasp. It feels good when you're carrying it around, but it isn't so hefty that you notice it. In fact, loaded up with an iPad the whole weighs just 2.75lbs, which is less than the new 13" MacBook Air.